A systematic review of double blind clinical trials performed to study St John's Wort for the treatment of depressive symptoms has shown that St John's Wort works as well as standard anti depressants in the treatment of mild to moderate depression, although it is not proven to work as well as anti depressants in the treatment of severe depression (some studies have in fact shown it to be of little benefit in the treatment of severe depression). The alternative medication has been proven to work better than placebo in the alleviation of depressive symptoms and induces fewer side effects than comparable anti depressant medications. Despite some significant clinical evidence for its effectiveness, the American National Institute of Health does not consider St John's Wort a proven treatment for clinical depression. Two major points of concern regarding the herbal medication include varying potencies and qualities of extracts sold at the consumer level and the potential interaction effects between St. John's Wort and other medications. How Does St John's Wort Work? Scientists aren’t yet sure how St John's Wort affects depression. They speculate that the plant may work similarly to SSRIs by preventing the re absorption of serotonin in the brain or it may work through mechanisms in the immune system. The plant contains many active compounds; the 2 that are thought to influence depressive symptoms are hyperforin and hypericin. Although used as a medication, the FDA does not regulate herbal supplements like St John's Wort. The risk inherent in using unregulated products is an inconsistency in active ingredients; you just don’t know exactly what active ingredients and in what quantities a typical dose of purchased St John's Wort might contain. Taking St John's Wort can reduce the effectiveness of some other prescription medications you might take. 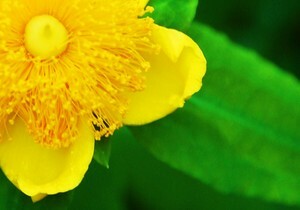 Talk to your doctor about the risks and benefits of St John's Wort. Although American health agencies do not recommend the herb as a primary treatment for depression, some countries in Europe do prescribe St. John's Wort as a primary treatment for the disorder. If you decide to use the herb, make sure to inform your doctor of your consumption, to ensure the herbal medication will not interact with any other medications that you use.